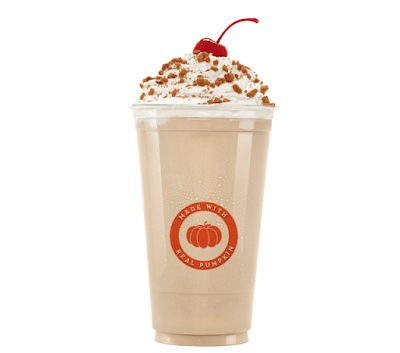 The Pumpkin Spice Shake finds itself back on the Jack in the Box menu for a limited time this fall. 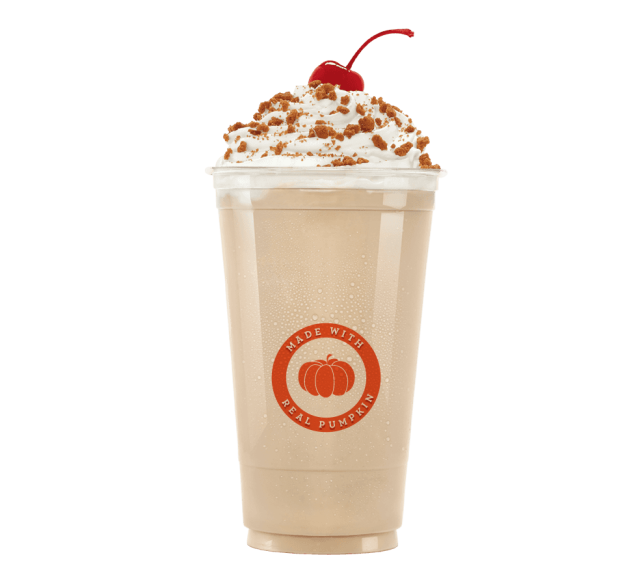 The seasonal shake features the chain's milkshake mix blended with pumpkin spice syrup (made with actual pumpkin) and topped with whipped cream, a maraschino cherry, and gingersnap crumbles. It the product photo is any indication, the cup emphasizes the "made with real pumpkin" angle with words and a graphic of a pumpkin.